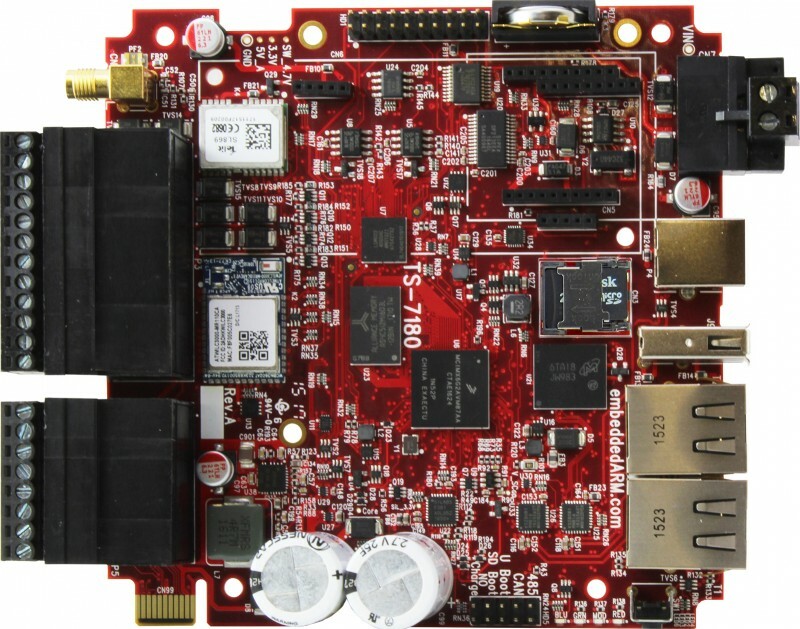 Technologic Systems has announced an engineering sampling program for a wireless- and data acquisition focused SBC with open specifications that runs Debian Linux on NXP’s low-power i.MX6 UL SoC. The -40°C to 85°C tolerant TS-7180 is designed for industrial applications such as industrial control automation and remote monitoring management, including unmanned control room, industrial automation, automatic asset management and asset tracking. 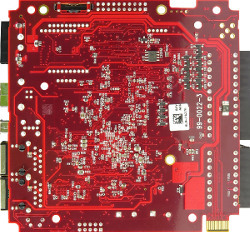 (click images to enlarge)Like Technologic’s i.MX6-based TS-7970, the TS-7180 has a 122 mm x 112 mm footprint. Like its 119 x 94mm TS-7553-V2 SBC and sandwich-style, 75 mm x 55 mm TS-4100, it features the low power Cortex-A7 based i.MX6 UL, enabling the board to run at a typical 0.91 W.
Like the TS-4100, the new SBC includes an FPGA. On the TS-4100 this was described as a Lattice MachX02 FPGA with an open source, programmable ZPU soft core for controlling GPIO, SPI, I2C and daughtercards. 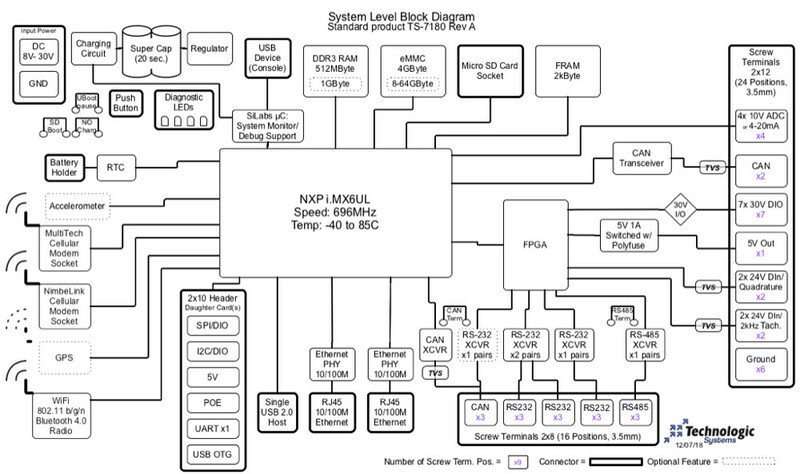 Here, the manual mentions only that the unnamed FPGA enables the optional, 3x 16-bit wide quadrature counters, which are accessible via I2C registers. The “quadrature and edge-counter inputs provide access to” dual, optional tachometers, says Technologic. (click images to enlarge)The quadrature counters and tachometers are part of a DAQ subsystem with screw terminal interfaces that is not available on its other i.MX6 UL boards. The digital acquisition features also include analog and digital inputs, DIO, and PWM. 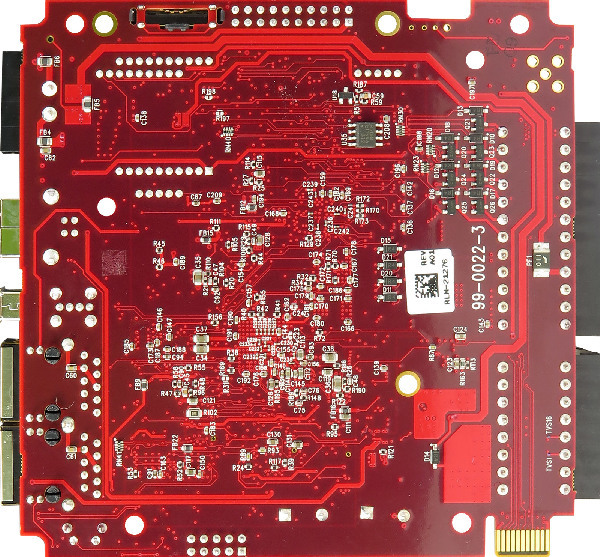 Technologic boards typically have a lot of wireless options, but the TS-7180 goes even further by adding a cellular modem socket that supports either MultiTech or NimbeLink wireless modules. You also get Wi-Fi/BT, optional GPS, and a socket for Digi’s XBee modules, which include modems for RF, 802.15.4, DigiMesh, and more. There are also dual 10/100 Ethernet port with an optional Power-over-Ethernet daughtercard. The SBC provides a USB 2.0 host port, as well as micro-USB OTG and serial console ports. There’a also mention of a “coming soon” internal USB interface. Five serial interfaces, including TTL and RS485 ports, are available on screw terminals along with a CAN port. 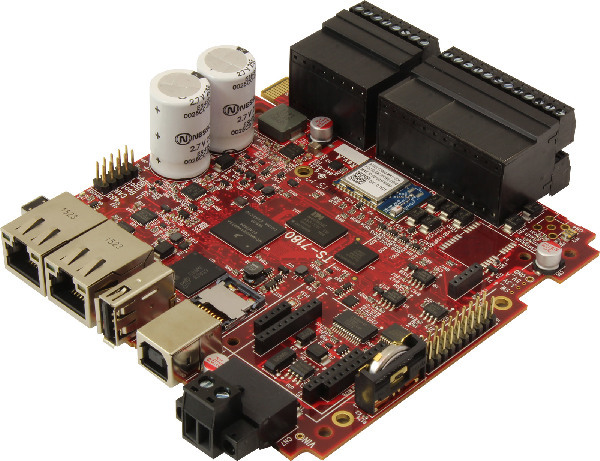 Other features include an RTC and an optional enclosure and 9-axis IMU. The board runs on an 8-30V input with optional external power supply and Technologic’s TS-SILO SuperCap for 30 seconds of battery backup. As usual, the board is backed up with open schematics and comprehensive documentation. If it wasn’t over our $200 limit, it would be included in our new catalog of 122 open-spec hacker boards. 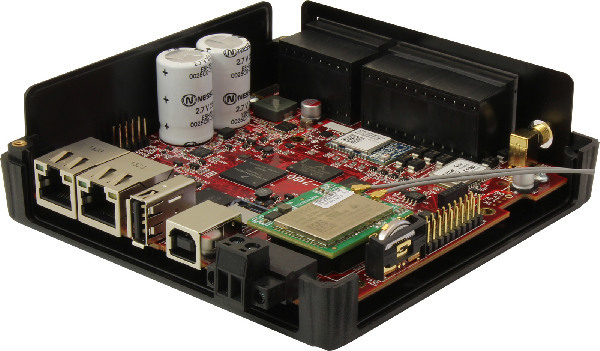 Two SKUs are available: a basic $315 model with 512MB RAM and a $381 model with 1GB RAM that adds GPS and IMU. The TS-7180 is available in an engineering sampling program for $315 with 512 MB RAM or $381 model with 1GB RAM, GPS, and IMU. 100-unit pricing is $254 and $320. More information may be found in Technologic’s TS-7180 announcement and product page. This article originally appeared on LinuxGizmos.com on January 4. 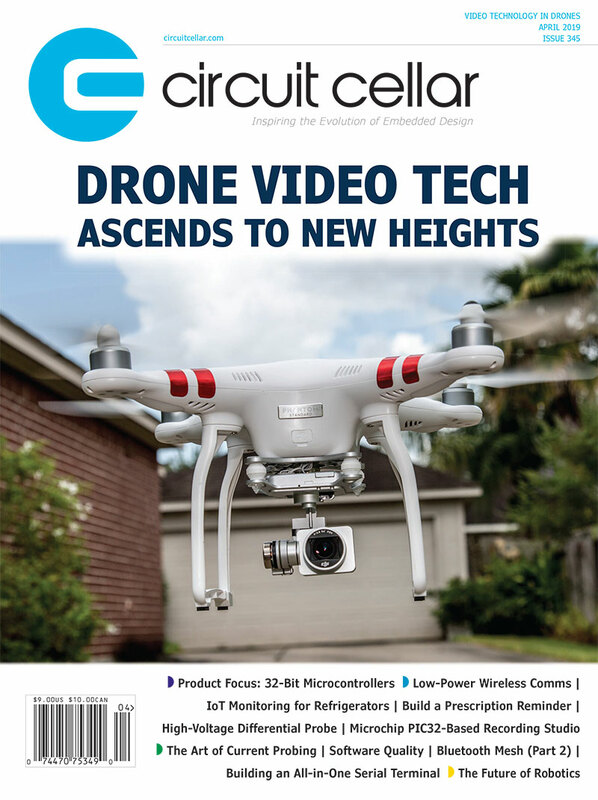 This entry was posted in CC Blog, Industry & Enterprise, Product News and tagged ARM, Bluetooth, DAQ, data acquisition, embedded boards, GPS, SBC, wifi, wireless by Circuit Cellar Staff.